Pentre Ifan (pictured above) is an ancient burial chamber dating from c3000 BC. To the south side of the Preseli hill nestles a small, yet significant, stone circle and nearby a stone seat that has been sat in for maybe 5000 years. Pembrokeshire has mile after mile of open unspoilt sandy beaches. 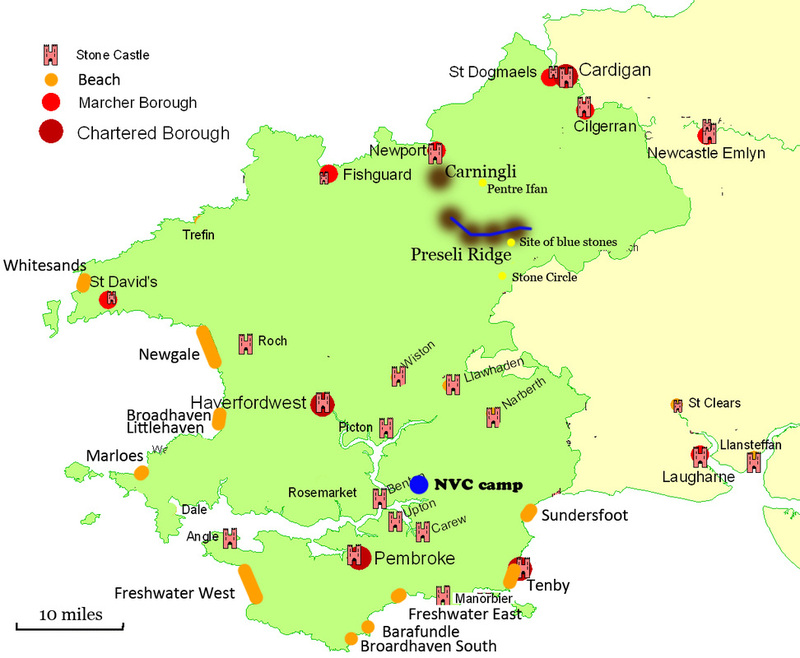 Freshwater East (9 miles) and Tenby (10 miles). 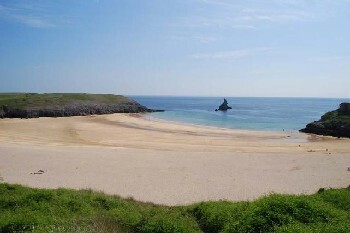 It is advised that you travel that bit further to the spectacular beaches at Barafundle Bay (12 miles) and Broad Haven South (14 miles and pictured above). For the surfer in you try Freshwater West (15 miles). If you fancy spectacular views then the Preseli hills are for you. At the highest point they afford (on a clear day) exceptional all round views to the Wicklow Mountains in Ireland to the west, Snowdonia to the north, the Brecon Beacons to the east and the Bristol Channel and Lundy Island to the south. There is a great 3-4 hour walk along the Preseli ridge that runs from outside Crymych (23 miles away) to Preseli top on the B4329, you'll need a car at each end (the drive between the two spots is 9 miles). A 'must' do for any ramblers amongst you. If you want something equally spectacular and with a bit less effort then a walk up Carningli (a view from the top is pictured above) might be for you. Britain’s only coastal national park; at 186 miles long your unlikely to run out of spectacular coastal scenery. 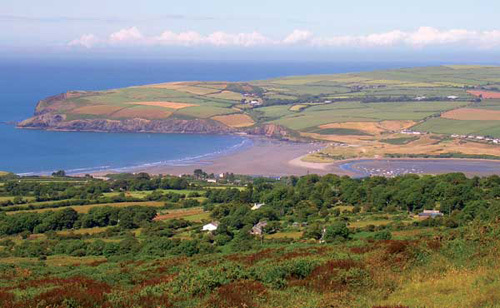 The path runs from Amroth in the south (10 miles away) to Cardigan in the north (32 miles). Some of the most spectacular cliff faces are on the Pembroke peninsular...right on our door step that includes St. Governs chapel (pictured above). 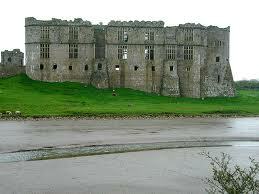 There are numerous harbours, small quays, lime kilns and warehouses dotted along its length.